You don't have to work at the mall to wrap gifts for pay. One alternative is to offer your skills to small business owners, non-profit organizations, social groups and other moms who could use your help. Keep an eye out for ads listing holiday job opportunities, and see which companies would be willing to let you work primarily from home. If you're able to, you can set up a table at flea markets and fairs, once or twice a week. You can also offer your services to the managers or sponsors of those fairs. Holidays are a busy time, and people don't have the time to hunt down supplies and assemble them. They would rather delegate it to someone who is able to and has the time to research the best deals on the items to include in the packages. Depending on the recipients, there may be rules on what's allowed in the care packages, such as for military personnel. Some groups, organizations and companies will rather avoid the hassle, and make it one of the holiday job opportunities they offer. It's great for you, because you can do it at home and deliver it when it's complete. Corporate officers, executive directors of charitable organizations, professionals and entrepreneurs typically give gifts during the holidays for a number of reasons. However, they also have to juggle work, year-end reports, and they too may be rushing out to the door to take time off. One solution is to hire someone like you to assemble and deliver gift baskets. 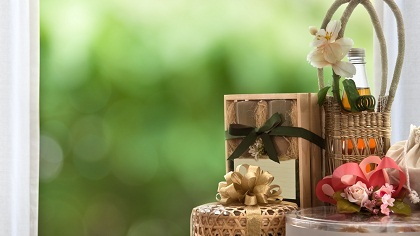 That's good news for you, because creating gift baskets is one of the more flexible holiday job opportunities. You can do it in your own time and from home. It's also a great business that you can do long after the holidays are over. If you're a detailed oriented person, organized and can manage people well, then you might want to consider working as an event planner during the holidays. Many businesses and individuals want to host holiday parties, but don't have the time or skill to put one together. If that's right up your alley, then it's one of the best holiday job opportunities for you. Check major job boards three months prior to each major holiday, but also network with business owners in your area. You may not need to be present at the event or party, but it's important to find out what the employer requires before you accept the job. Holiday job opportunities won't fall into your lap. You have to be proactive and take an entrepreneurial approach to finding work.